It’s official. North Korea’s latest rocket has been confirmed by US authorities as an intercontinental ballistic missile (ICBM), meaning that it has a range of at least 3,400 miles (5,500 kilometers). And the US has responded with its own missile test from an undisclosed location in South Korea. Theoretically, the North Korean missile could hit Alaska, though there’s no evidence so far that the country has the ability to miniaturize a nuclear weapon to place on any rocket. It’s one thing to have both a nuke and a rocket that can hit a target. It’s much harder to miniaturize a nuke so that it can fit on your rocket. State media posted video of the missile launch to its English language YouTube page. 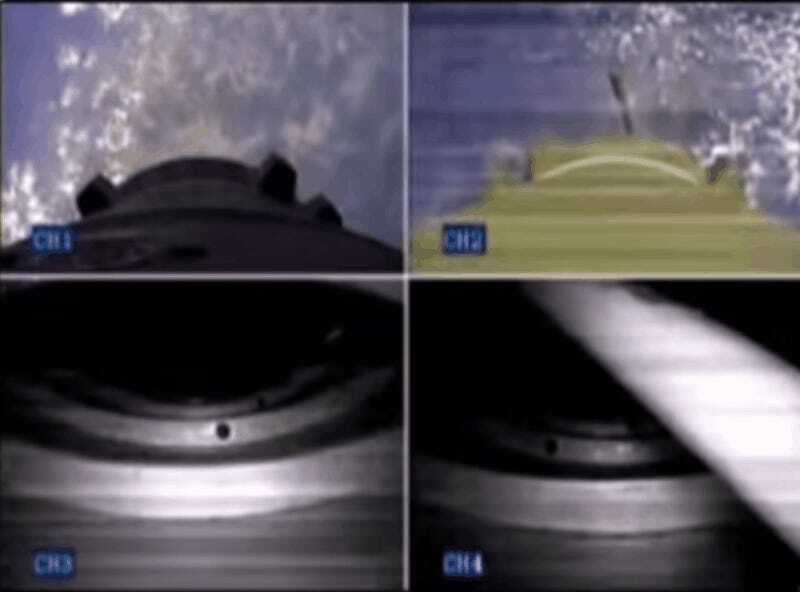 The test also shows video from the perspective of the two-stage rocket, as seen in the GIF below. Today’s joint US-South Korea exercises conducted in the wake of the North Korean launch included “precision firing capability” tests using MGM-140 Army Tactical Missiles. The US military released photos like the one below showing that it was conducting its own drills. North Korea sees American tests with the South as a direct threat to its sovereignty and is opposed to the THAAD missile system that has been deployed to the peninsula. The US has been testing its missile defense system, with a successful operation back in May. That test saw a dummy missile shot from the Kwajalein Atoll in the Marshall Islands, which was successfully destroyed by a missile launched from Vandenberg Air Force Base in California. A more recent test was unsuccessful. The UN will hold an emergency meeting later today, which was called by Japan, South Korea and the US. Member nations will discuss North Korea’s latest test and what should be done about them. After news of the North Korean tests were first made public, President Trump tweeted about them, imploring China to get involved, despite the fact that he had said they weren’t being helpful in earlier tweets. And yet again this morning the president made it sound somewhat hopeless to work with China to curtail North Korea’s nuclear ambitions. President Trump leaves for Europe today to attend the G20 meetings of world leaders. The subject of North Korea’s missile tests will no doubt come up, though the world is also watching to see how Trump interacts with Russian president Vladimir Putin when the two meet on Friday. With any luck, the world will avoid war, with no less than complete nuclear engagement at stake.